Criminalize Conservatism: Celebrating Conservative Stupidity - Again. Celebrating Conservative Stupidity - Again. 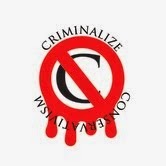 As active readers of this site, you've probably seen how we've commented on Conservative stupidity now and again (http://www.criminalizeconservatism.com/2015/08/are-conservatives-crazy-stupid-greedy-or-just-mean.html -- http://www.criminalizeconservatism.com/2015/04/just-how-stupid-are-conservatives-anyway.html) but we now realize that we may have been hasty and a bit one-sided in our past analyses. ...and this one showing where Conservatives live and die in Planet GOP. We must note the old saw that the Republican Party is made up of a few smart people and a whole lot of dumb ones, because then you can make sense of all that Conservative stupidity. If the Conservative leadership DIDN'T try to lure and appease the stupidest of God's creation on earth, they'd never win and election. Who else would go along with the rule of the rich in a participatory democracy? Who else would ignore the outright theft and wholesale murder that happens as a result of Conservative legislation? And who else would swallow all the lies and deceit, the racism and bigotry, and the wholesale hatred perpetuated by the Conservative leadership and its fellow travelers day after day? The dumbest of the dumbest Conservatives would, that's who. ...criminalize Conservatism? We think so too.